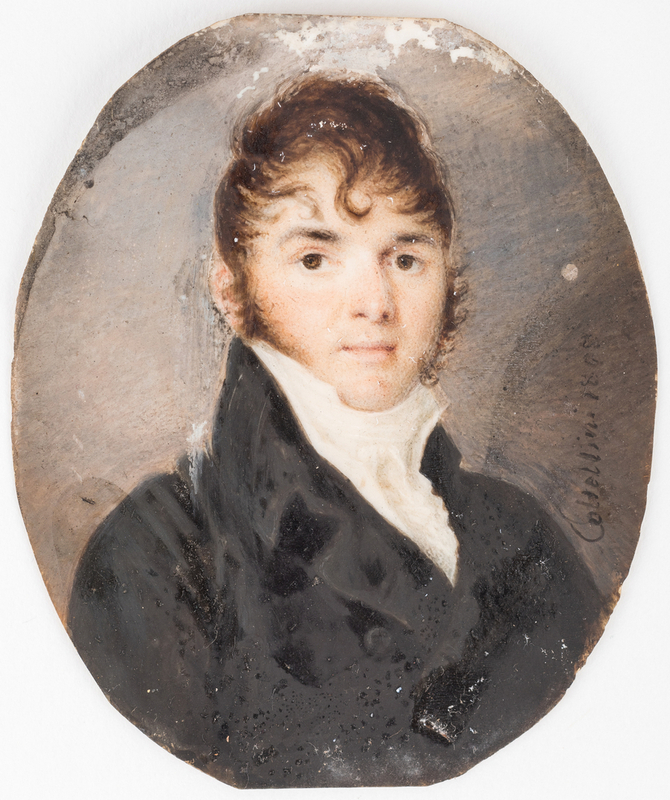 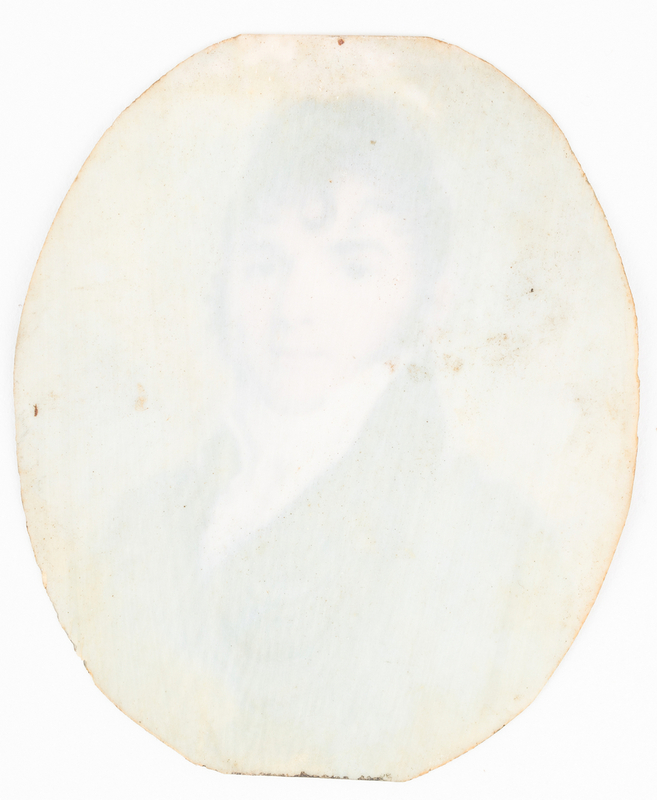 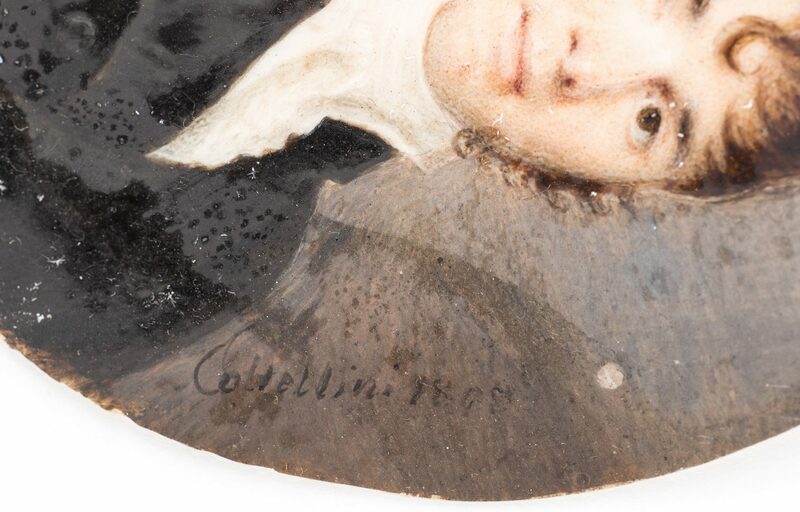 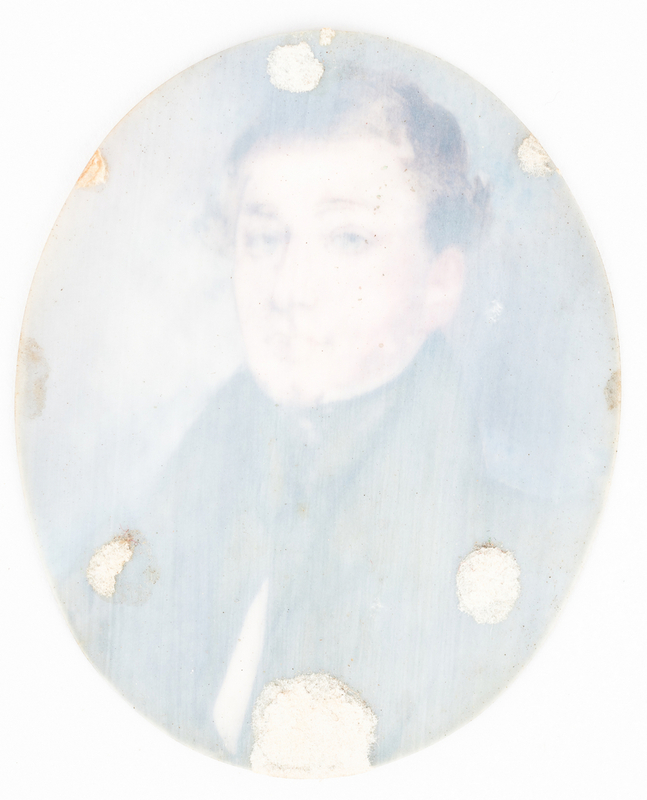 1st item: Oval portrait, watercolor on ivory depicting a young gentleman, signed and dated vertically above subect's right shoulder "Coltellini/1808" (Constantina Coltellini, Naples, Italy, active circa 1819). 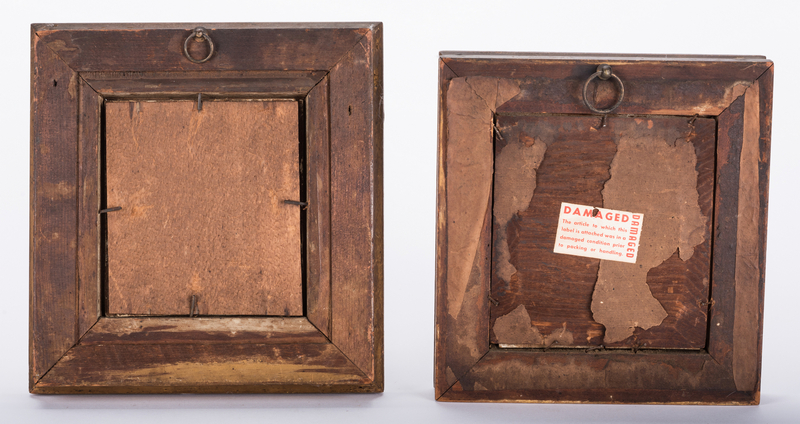 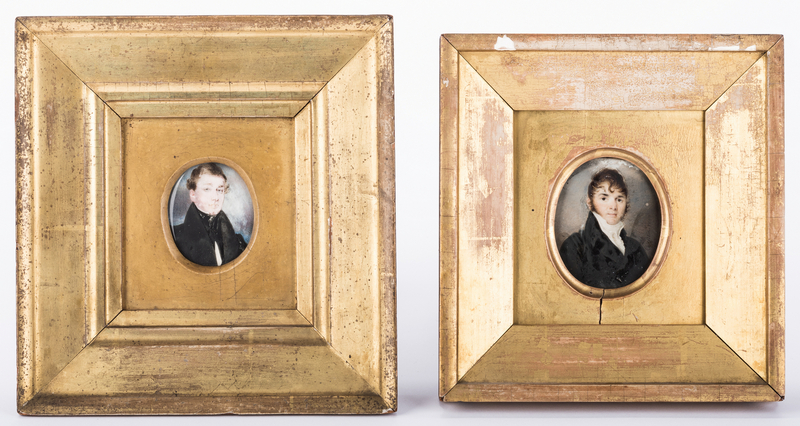 Housed in a gilt wood frame with gilt wood liner and matte. 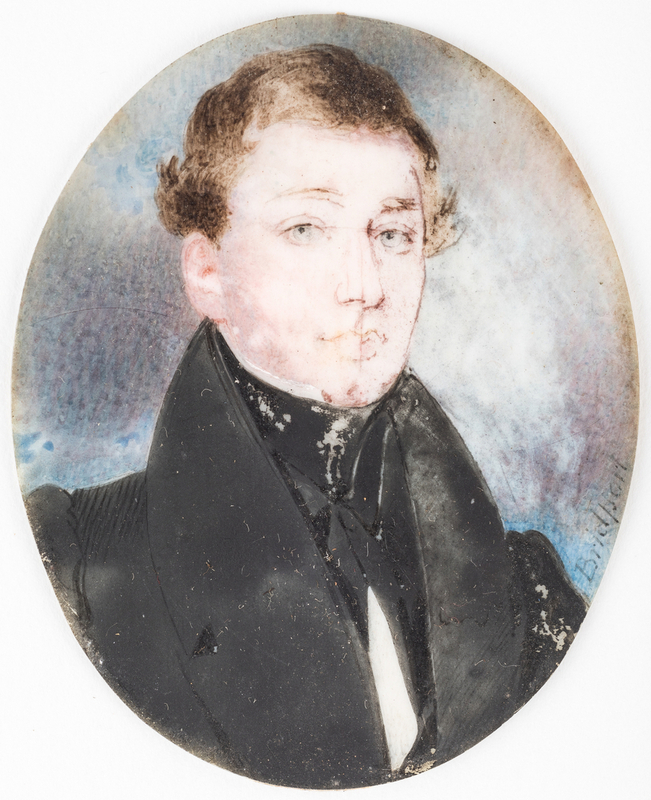 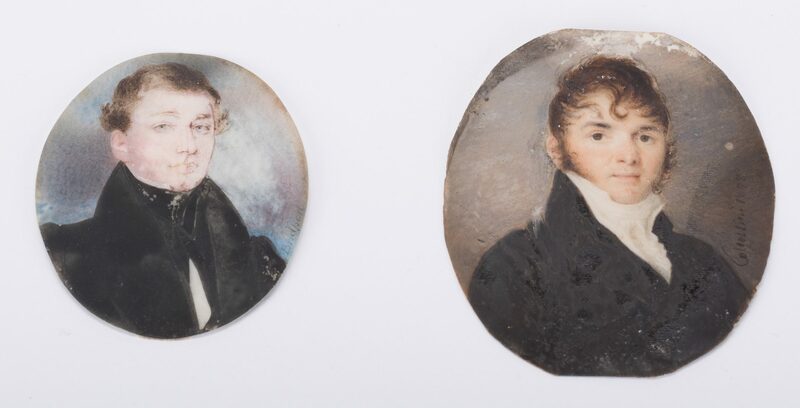 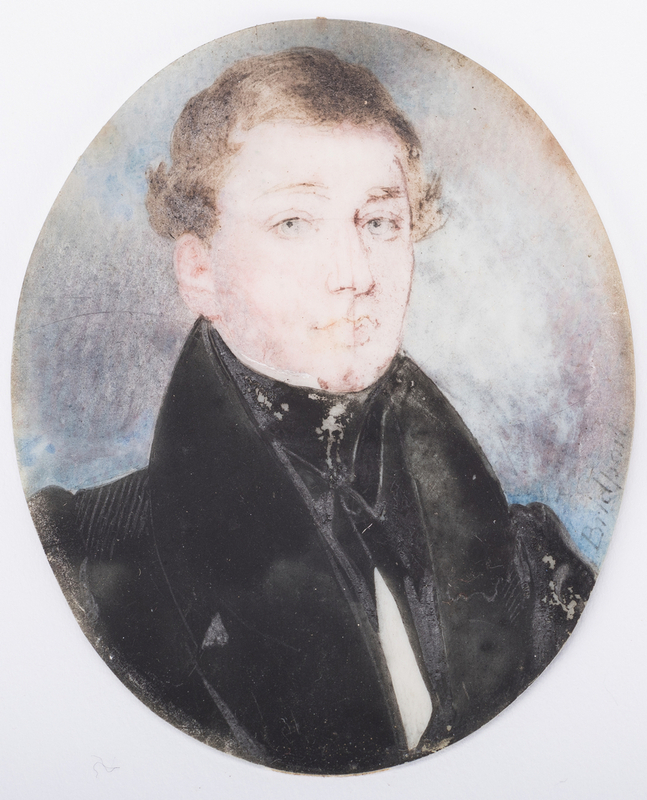 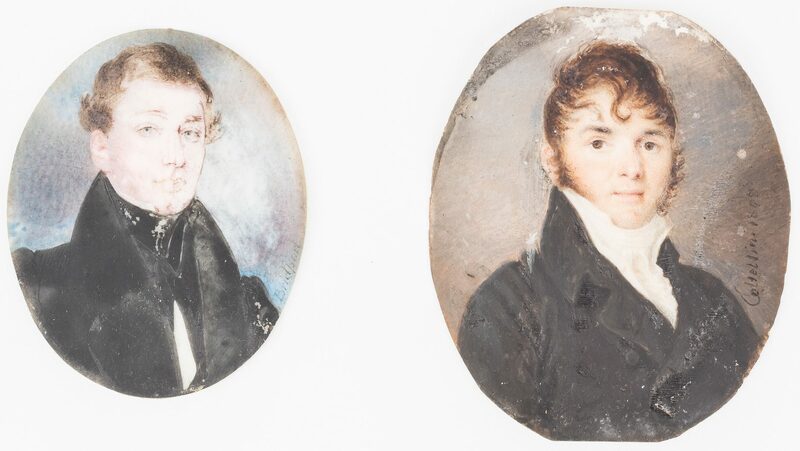 Portrait – 3 1/8" H x 2 3/4" W. Framed – 8 1/2" H x 8" W. 2nd item: Oval portrait, watercolor on ivory depicting a blue eyed gentleman, signed lower right margin "Bridport" (Hugh Bridport, English/American, 1794-1868). 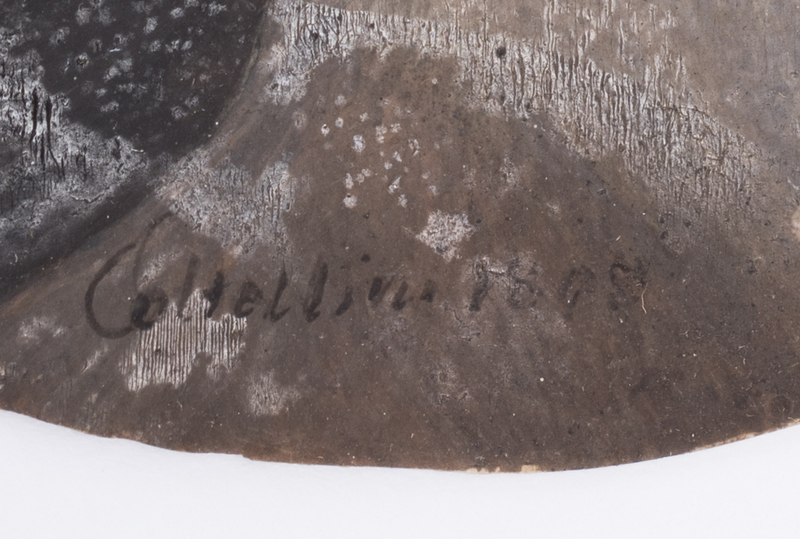 Illegible pencil script en verso. 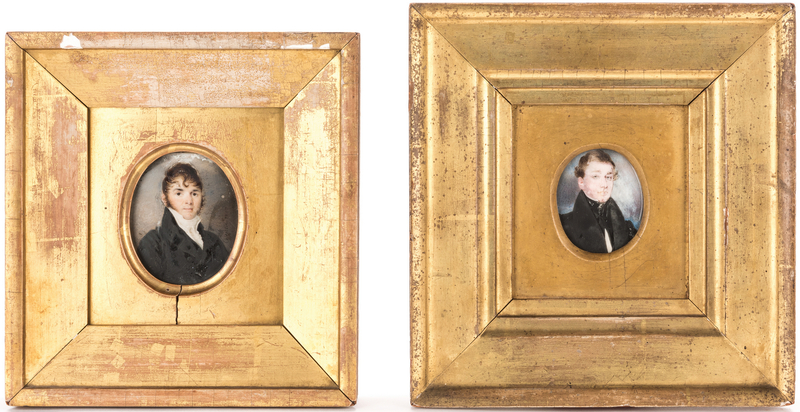 Housed in a gilt wood frame with gilt wood liner and matte. 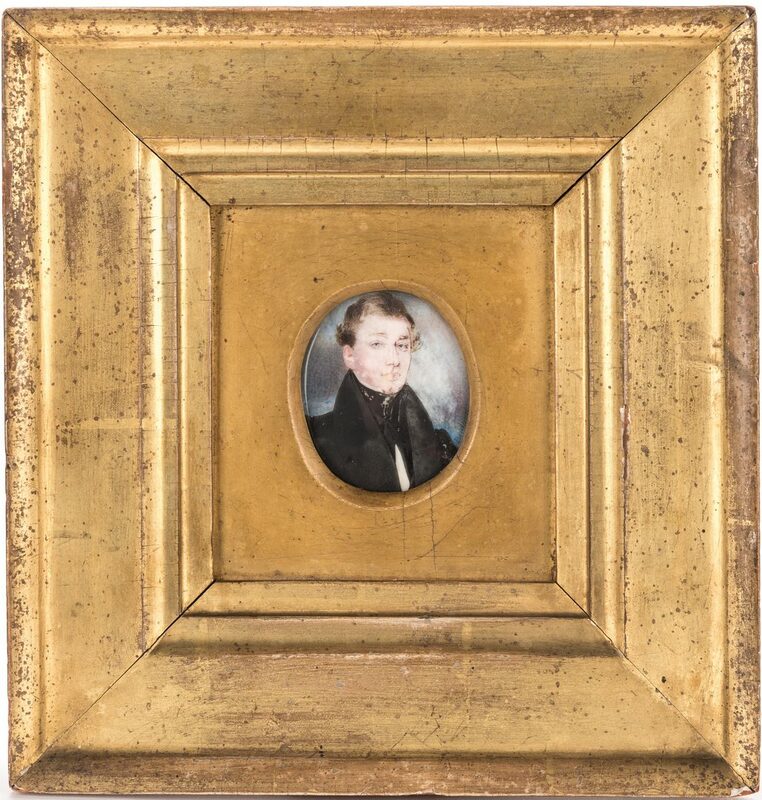 Portrait – 2 5/8" H x 2 1/8" W. Framed – 9 1/2" H x 8 7/8" W. Biography (courtesy Askart: The Artists' Bluebook): "Hugh Bridport emigrated to America from England around 1815 and, with his brother, George, also an artist, opened a drawing academy in Philadelphia in 1816. 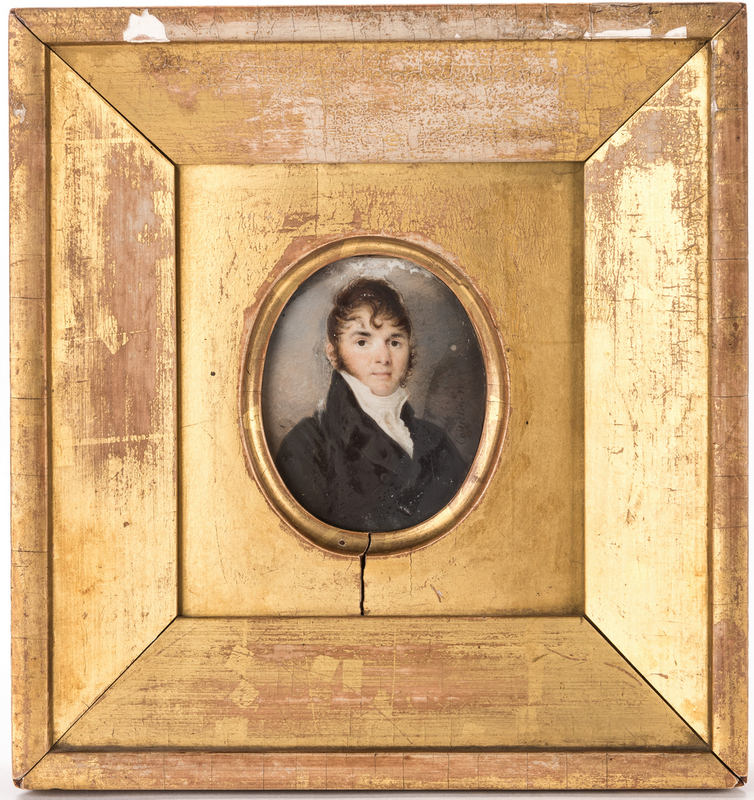 After George's death, Hugh traveled to different parts of the country painting full sized and miniature portraits. 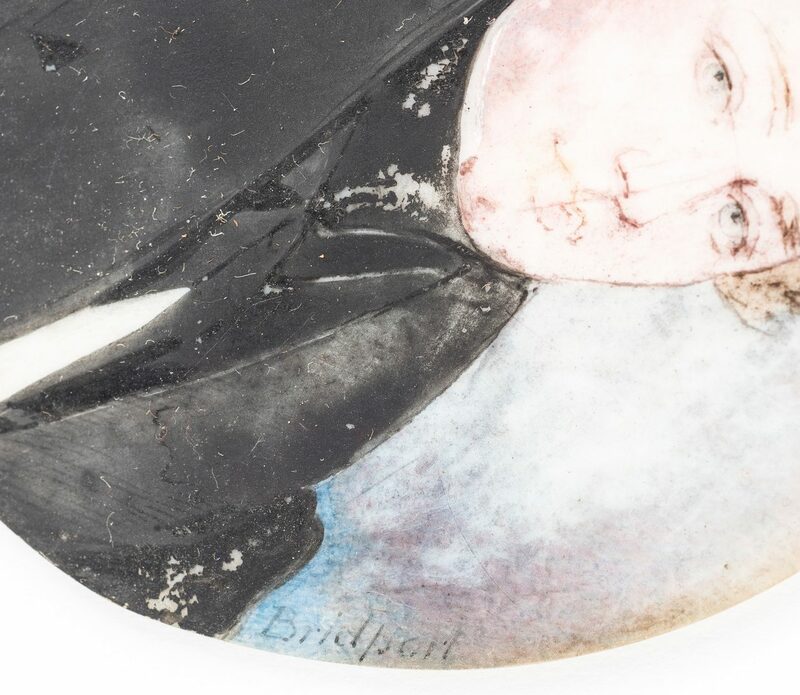 He exhibited at the Royal Academy in London and the Pennsylvania Academy of Fine Arts and the Artist's Fund Society in the United States". Provenance: Baltimore estates of Virginia Howard Miller (c. 1880-1946) and Hugh Purviance King (1873-1966) passed down to present Living Estate of Virginia Johnston, Chattanooga, TN. 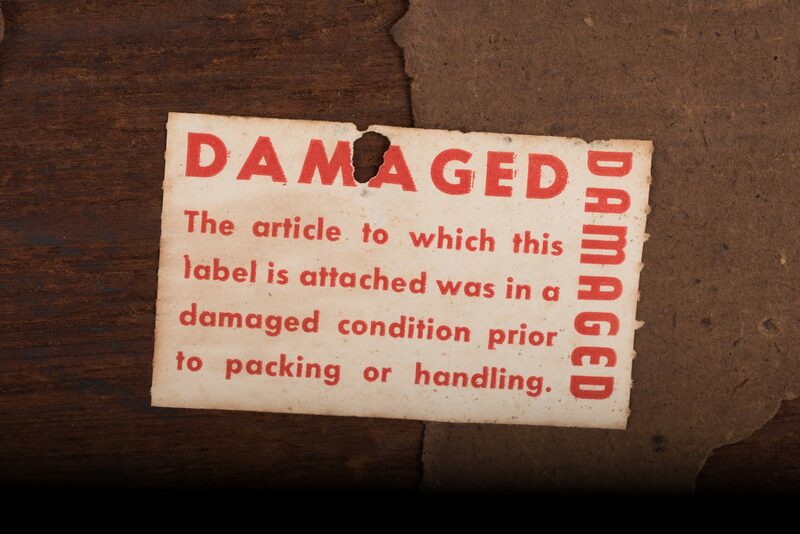 CONDITION: 1st item: Rubbing upper margin. 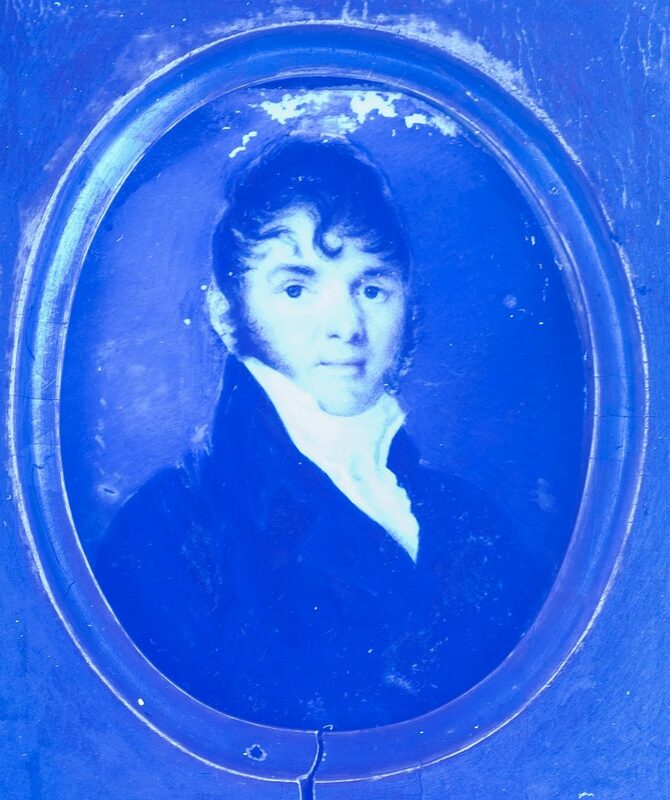 Scattered pinprick losses to hair and lower right margin. 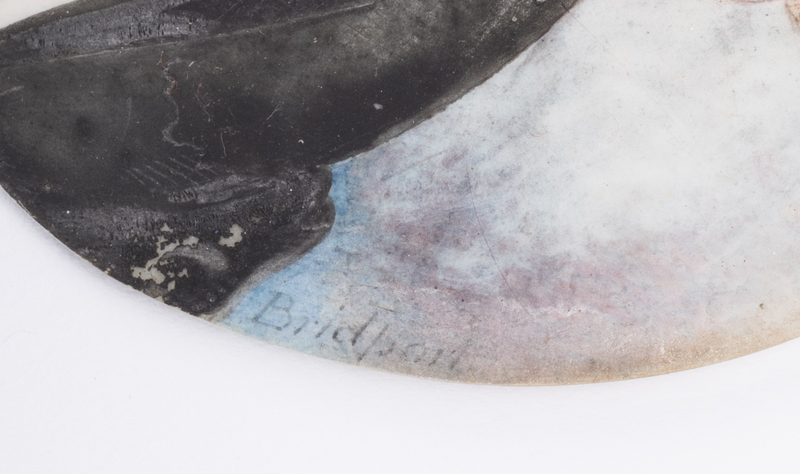 2nd item: Horizontal scratch across eyes. 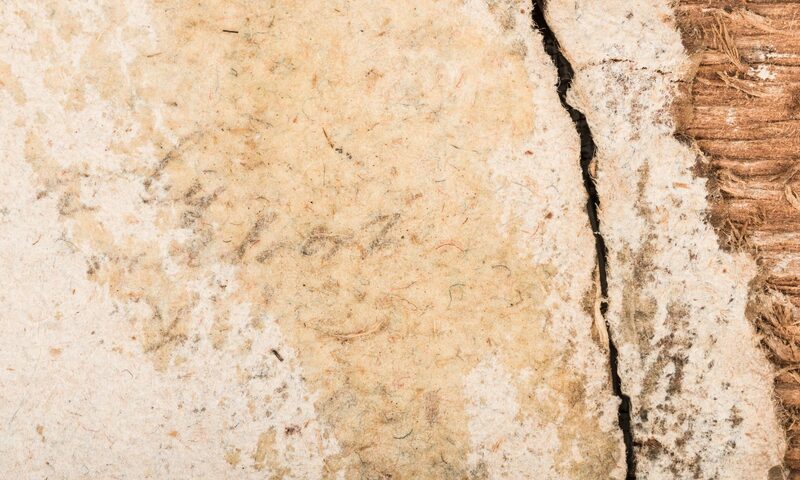 Vertical scratch through nose. 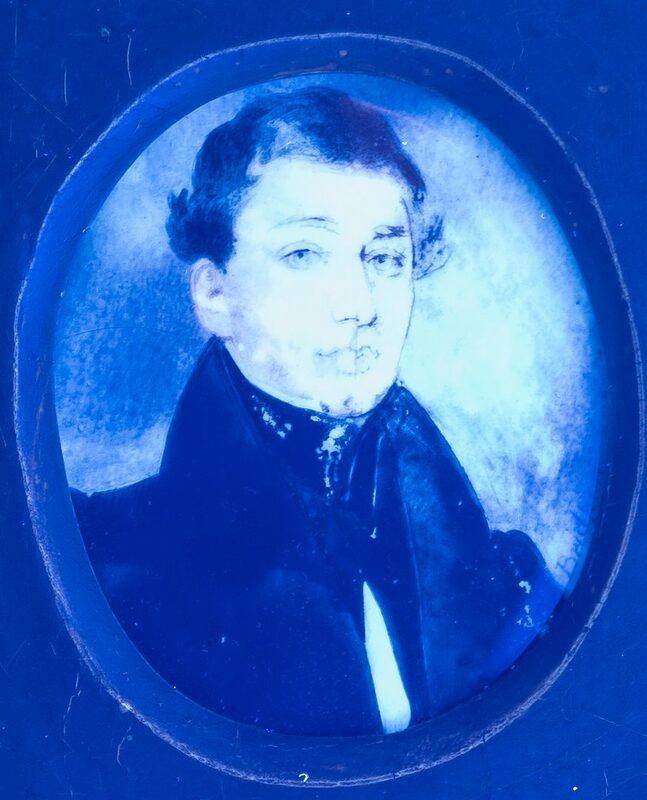 Losses to black collar and left ear. 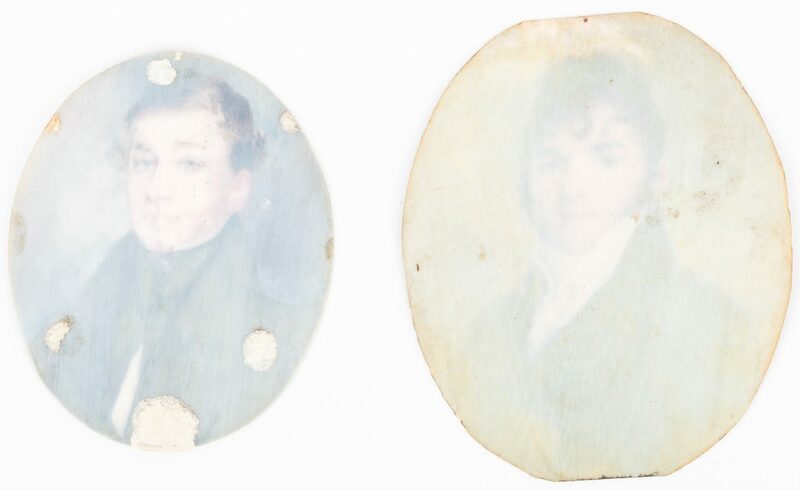 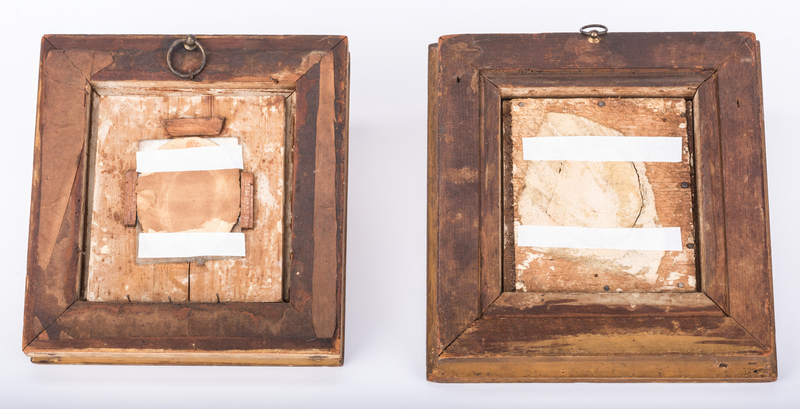 Both – no inpainting or alterations evident with black light.